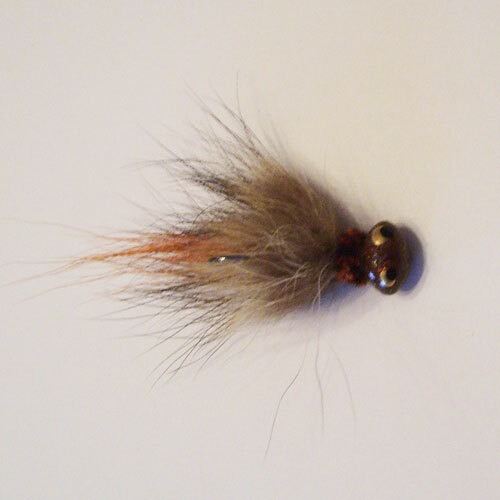 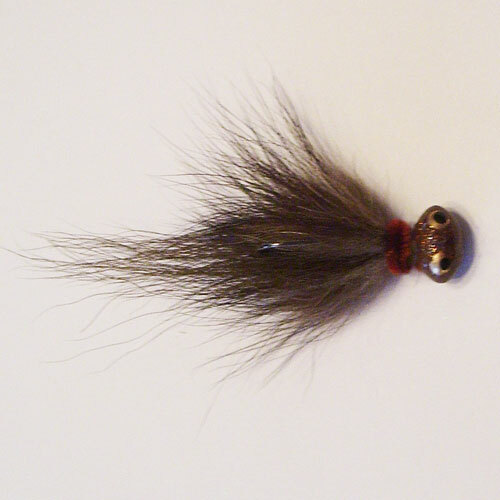 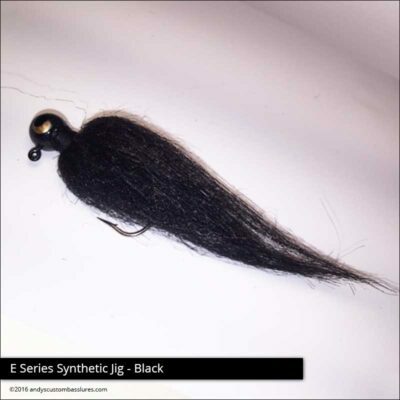 This jig is a combination of coyote fur, red fox, bucktail and a silicone skirt tail. 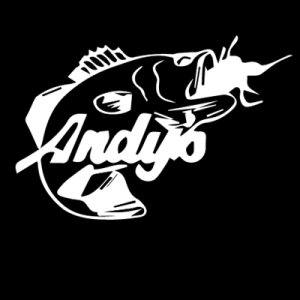 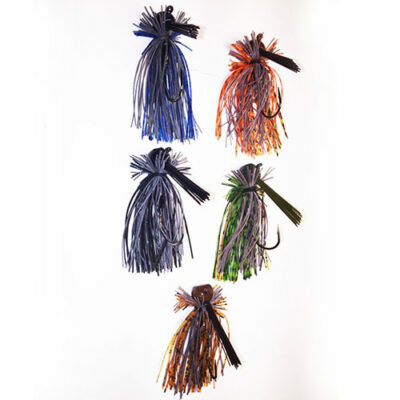 This jig, as are all of Andy’s jigs, is 100% hand made and tied. 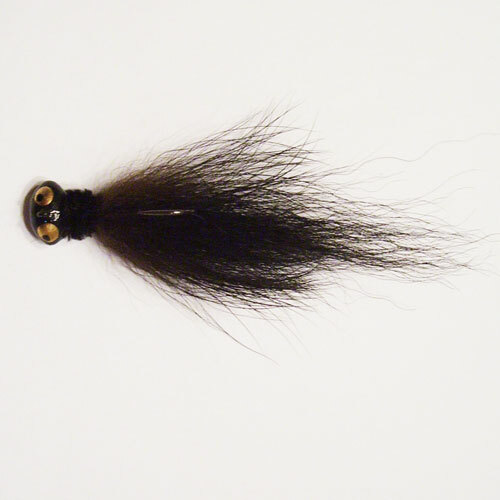 Hooks are Mustad black, ultra sharp. 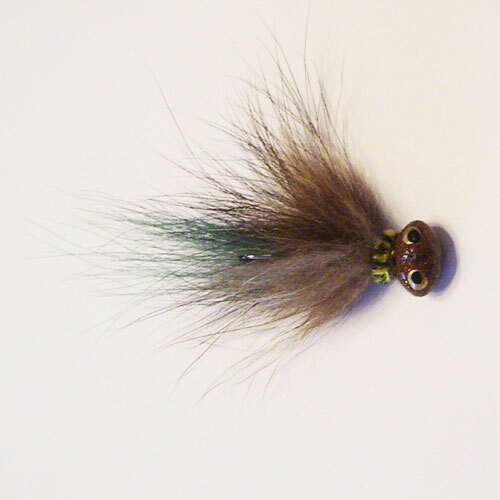 This is truly a finesse jig and imitates a baby crawdad. 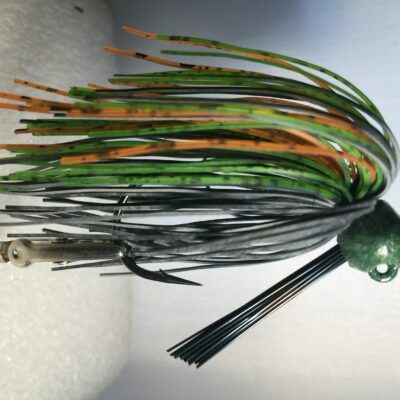 The head design is a football head, so the hook is always standing straight up.